Desk Report: Chasing 182, Kolkata Knight Riders (KKR) got off to a poor start, losing out on Chris Lynn in the second over. But Nitish Rana, who was surprisingly sent out to open the innings for KKR along with Lynn, scored a fifty to keep his side in the hunt. He was dismissed for 68 by Rashid Khan. After his dismissal, Andre Russell smashed 49 runs in 19 balls to script a thrilling win for KKR by 6 wickets. 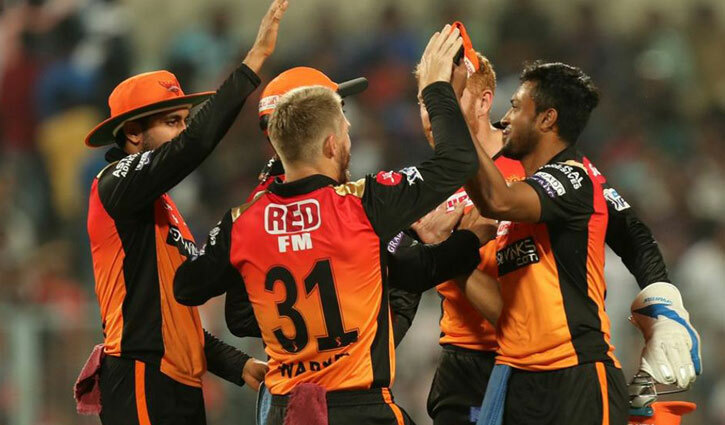 Earlier, David Warner played a sensational 85-run innings on his return to IPL for Sunrisers Hyderabad to take his side to 181/3 in 20 overs. Kane Williamson is not fit to play and Bhuvneshwar Kumar is leading Sunrisers in the match.